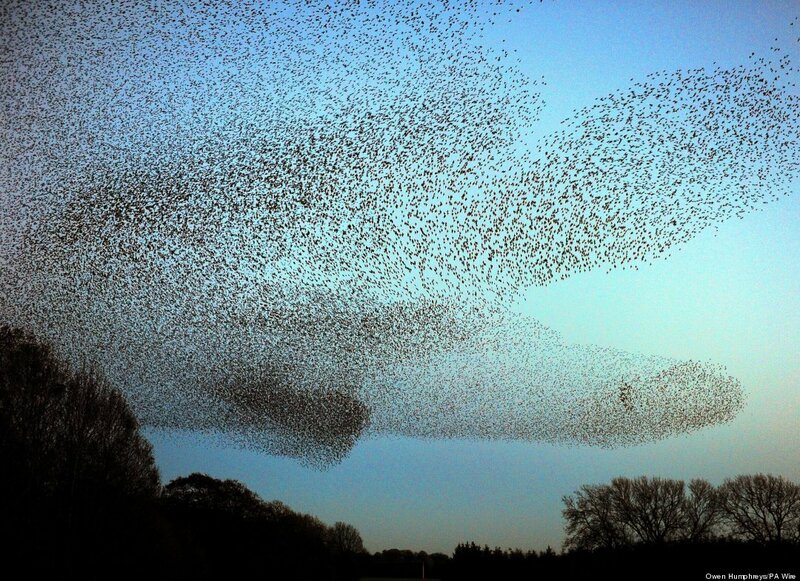 A beautiful video made by Sophie Windsor Clive and a friend as they paddle into a murmuration of starlings, masses of diving and flying birds take over the sky. The video, on Vimeo, makes your heart soar; at times the tiny specks seem to make up whorls of fingerprints or swirling storms. Please watch it endless times!